Stutz set the pattern. 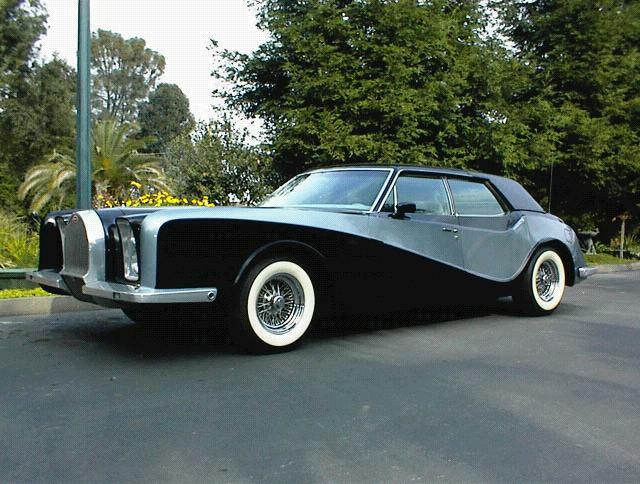 In 1970, riding a current of neo-classical sentiments in the automotive world that brought about Brooks Stevens’s Excalibur and an attempt at resurrecting Duesenberg, the first new Stutz in 35 years was made available to the public. Sure, it had the guts of a Pontiac Grand Prix, but it had enough throwback styling and a name with cachet – and it sold for about four times what a contemporary Cadillac cost. Imitators would inevitably try to repeat the pattern. Ah, but which dead marque deserved the voodoo treatment? Mike Sherman and Dave Kent figured on Bugatti. Virgil Exner, who at least held partial responsibility for the neo-classical movement thanks to his revival designs for Esquire magazine, had already envisioned a resurrected Bugatti and even built a real-life version, based on the last Bugatti Type 101 chassis. By the time he debuted that car in 1965, the Molsheim factory had long given up automobile production and fallen into the hands of Hispano-Suiza. Hispano-Bugatti, involved in the manufacture of aircraft parts, became part of SNECMA in 1968. Exner couldn’t attract funding to build more Bugattis, so the marque seemed ripe for the picking. How or even whether Sherman and Kent obtained the rights to the Bugatti name remains unknown. Sherman’s son, Scott Sherman, claims that they did indeed purchase the rights to the name sometime in the early to mid-1970s, fully intending to bring the Bugatti marque back to life. 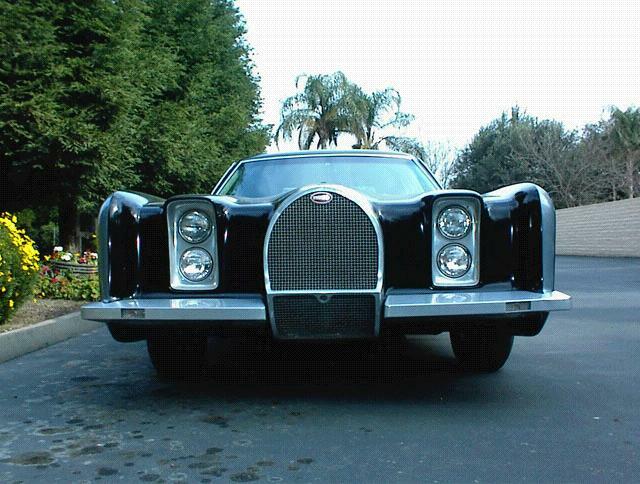 Unlike Exner’s sporty two-seater, however, Sherman and Kent decided to go the ultra-luxury route and purchased at least two 460-powered 1973 Lincoln Continentals to serve as the bases for two new Bugattis. Kent, through his Creative Car Craft in Hawthorne, California, had plenty of experience building, restyling, and customizing cars, with experience gained through working with Troutman and Barnes. 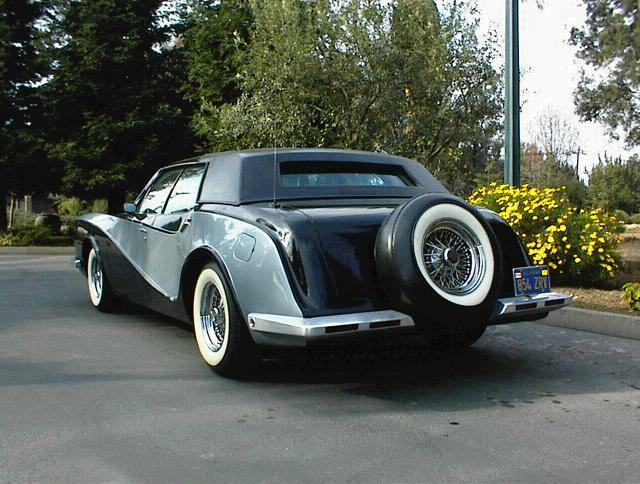 According to Scott Sherman, his father was no slouch with a hammer and dolly either, so the two set about reskinning the two Continentals in aluminum body panels, anchored at the front by the trademark Bugatti horse-collar grille and defined along the sides by long swoopy curves, accentuated by a two-tone black-and-silver paint scheme. They finished at least one of the Bugattis, and presumably it was Sherman and Kent who then displayed it outside the Pebble Beach Concours d’Elegance in 1976 with an asking price of $64,000 – again, more than four times the cost of the most expensive contemporary Cadillac, and more than six times the cost of a contemporary Lincoln Continental four-door. Since then it has seemed to have fallen out of sight and out of mind: Bugatti resources seem to make absolutely no reference to it at all (aside from three photos on Jaap Horst’s Bugattipage.com – 1, 2, 3), and for all their research, Scott Sherman and his brother have turned up nothing else on the car. “Dad died 16-17 years ago, so we never got to know what happened to the car,” he said. The Bugatti name, of course, has since passed on to Romano Artioli – who bought it in 1991 and was successful in producing the Bugatti EB110 – and to Volkswagen – responsible for the current Veyron. The known finished Sherman/Kent Bugatti presumably still exists, but where? Did the Sherman/Kent duo ever finish the second one? And how does this all fit historically into the conventional narrative of the resurrection of the Bugatti marque?